FTD patients have right hemisphere, frontal and temporal pole atrophy which leaves their cognitive abilities intact, but their social interactions impaired and their personalities changed. 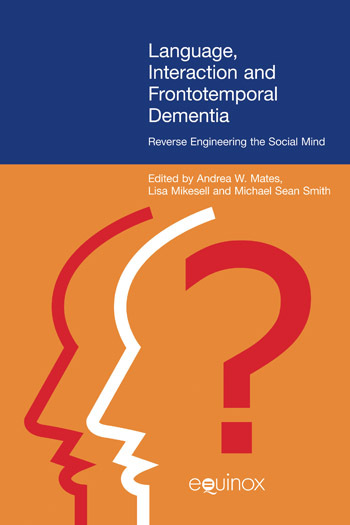 The description of FTD as a pathological change in social behavior provides the motivation in this volume to apply ethnomethodological and conversation analytic approaches to the organization of patients' interactions. These approaches do more than document the disease and its effects on loved ones by revealing phenomena that can be analyzed empirically as causing systematic changes in the patients' social interactions.